A Little Gesture A Great Help: Day 3 – Need an Electrician? 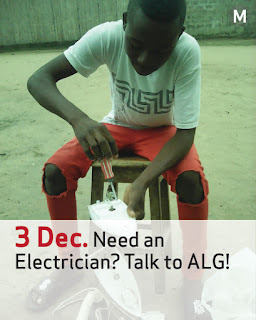 Talk to ALG! This April we revealed a new success case with Nelson Venâncio Mathe, one of the children under our intervention in the Chokwé region. 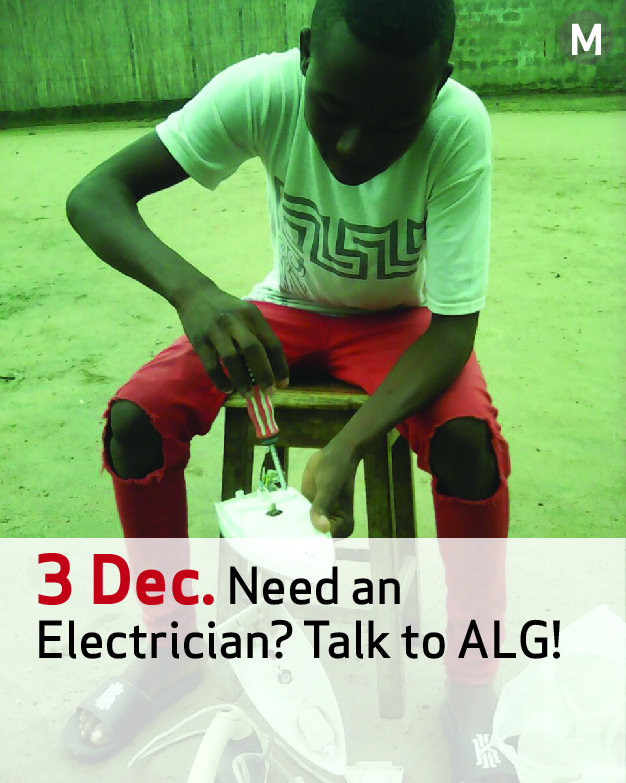 For 4 months Nelson attended an Electricity Technical Course, sponsored by ALG at the SPV school facilities and certified by the Mozambique state. Enthusiastic and dedicated, Nelson has started to provide basic energy installation services in several homes. As a beginner he charges an average of 500-1800mt (c.£6.5 - £23) per job. Alongside these services of energy installation, Nelson is also able to repair several small household appliances. And he also continues to study, currently attending Year 9. Nelson is very happy – and so are we – as with the skills provided by this technical course he has been able to help his mother increase the family income with his small contribution. On several occasions Nelson has teamed up with Elídio Sitoe (another ALG child who successfully enrolled at these courses) and together they have been repairing irons and kettles in their neighbourhoods. Congratulations Nelson and Elídio, we are very proud of you! !